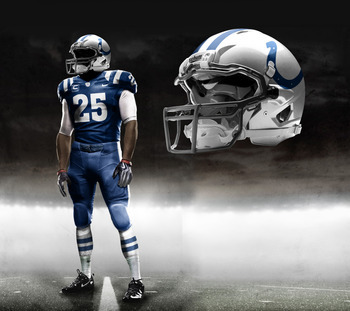 A while back, the NFL announced that Reebok would be replaced by Nike as the official manufacturer of NFL uniforms come 2012. 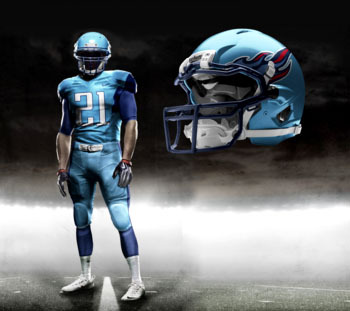 In what is either one of the cleverest hoaxes of all-time or simply a mistake in reporting, one man's photo-shopped renditions of Nike's new Pro Combat Uniforms were so believable that numerous national media outlets reported them as the future threads of pro football! 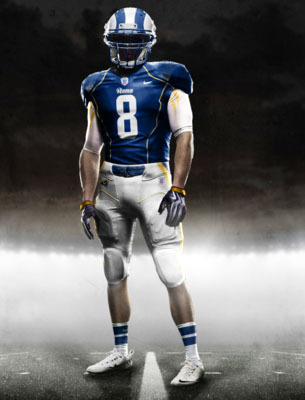 While many people are angered over the hoax and or mix-up, I actually find it impressive that a mystery man's fictional renderings of football's future uniforms were authentic enough to create such a stir in the first place. The craftsmanship and realism of the uniforms is astounding. While some of the jerseys leave much to be desired, there are a handful that look worthy of one day walking on an NFL field. 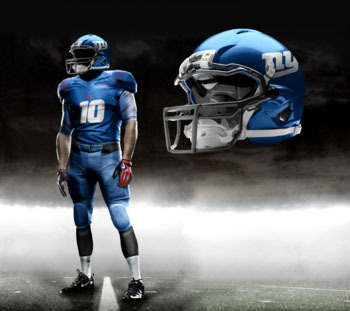 A few possible avenues the creator may have used to create the fictional uniforms include the Madden 11 or 2010 Backbreaker uniform creator, Photoshop or a more advanced program such as 3-D Studio Max. I think some of those look pretty awesome. 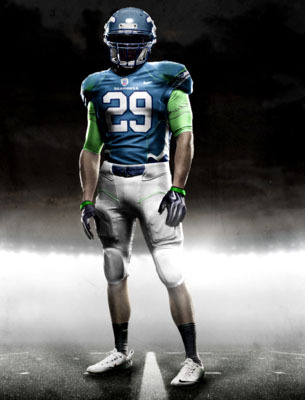 Maybe Nike should give this person a call lol that’s never gonna happen. Wow. There are a few duds here, but a lot of these are *really* nice. If paired with a redesign for the logos of some of the teams that sorely need it, this could be an amazing new image for the NFL. Too bad that Ben is right, and it’s not likely to ever happen. 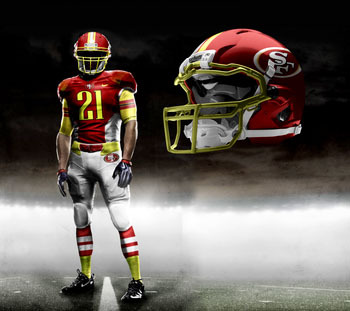 Man im glad these are not real, My favorite teams jersey is horrible, maybe if they throw a big star on each shoulder pad we got a deal.. and the arizona cardinals jersey is good but the pants got to go… the steelers one is horrible and so is the 49ers one. I for one would not spend any money on these. Ill just keep what i got. 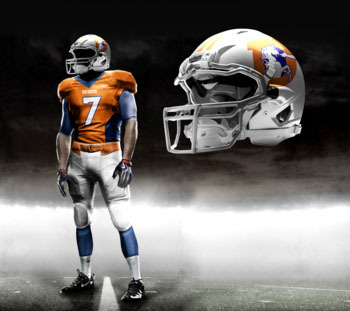 I absolutely LOVE the Denver Broncos one! 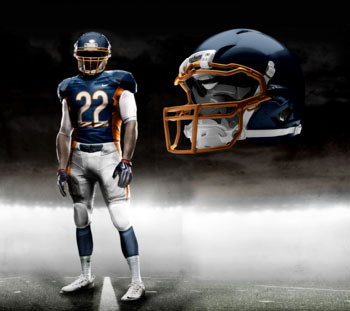 Maybe with the new logo, but the orange jersey definitely needs to come back for full time! I like most of these, excluding the Steelers and Jags. Other than that though, pretty cool ideas! 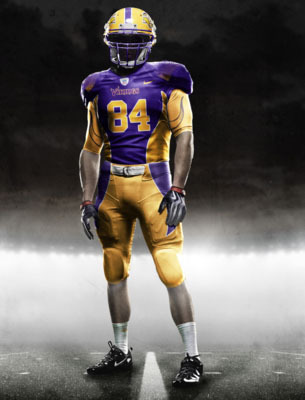 these look silly, and wont ever happen… thank god. 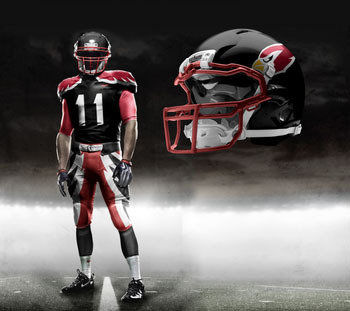 They don’t have uniforms for the KC Chiefs, the SD Chargers, the TB Buccaneers, or the GB Packers. Wanna see those. Of course no new Packers uniform. They haven’t changed in their entire history. They won’t change now to something silly like some of these or anything else. No Chargers Either!!!! 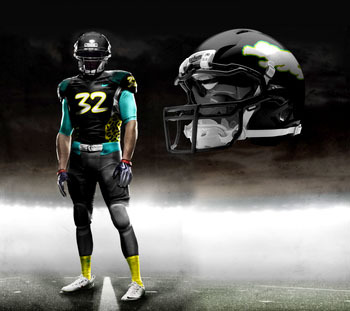 Their uniforms are already sick enough. 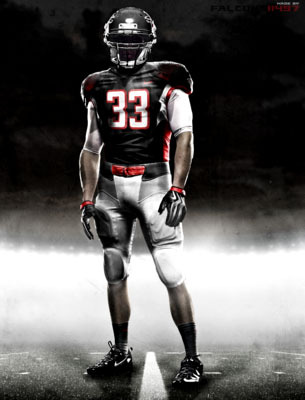 The New England jerseys look stupid. 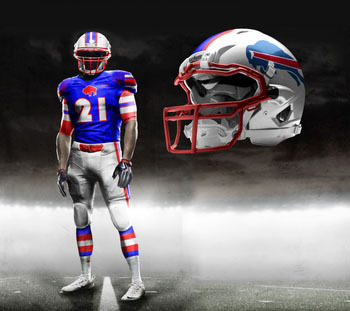 I love the USA but do we really need our nation’s flag on an NFL team’s jersey? And isn’t Dallas known as America’s team? 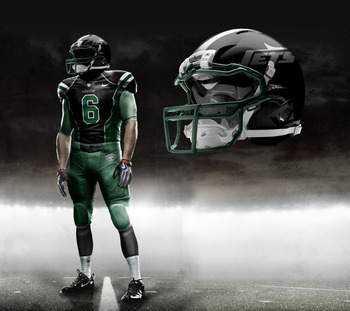 Happy these aren’t the real uniforms although some look pretty sick. The Ravens I think look the best. 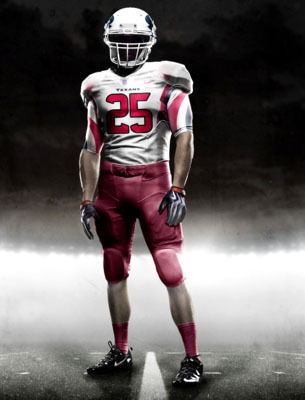 They resemble the closest thing to a possible real uniform. These are clown suits. Disgusting! 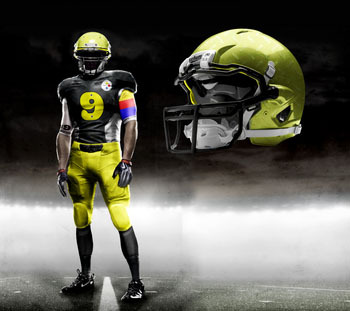 As a Steelers fan I’am pretty confident that the Steelers organization would never let this happen. 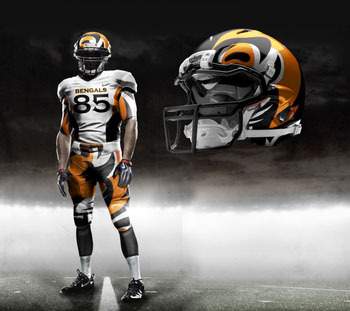 The Cleveland Browns uniform will still always make sense! Looks great! 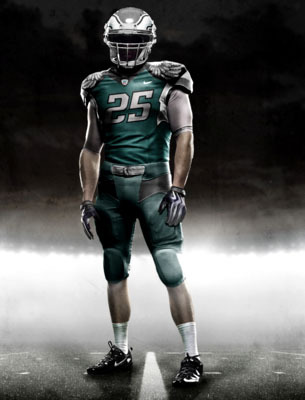 Lets face it, these designs are amazing. The NFL needs a face lift. All uniforms and helmets look great, some could be reworked, but overall they look better than anything that is in place now. FYI, Patriots have replace Dallas as America’s team, why wouldnt u put our nations flag on the Pats uniforms. 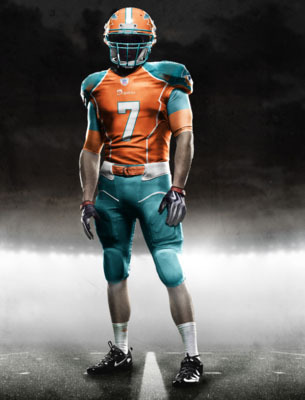 Well done, I hope this happens.